It's been quite the summer of introducing my daughter to some of my childhood favorite movies. Of course, I have had a major crush on Superman, particularly Christopher Reeve. Those darling blue eyes and his jet black split curl. In Superman II, Superman agrees to sacrifice his powers to marry Lois, unaware that three Kryptonian criminals he inadvertently released are conquering Earth. 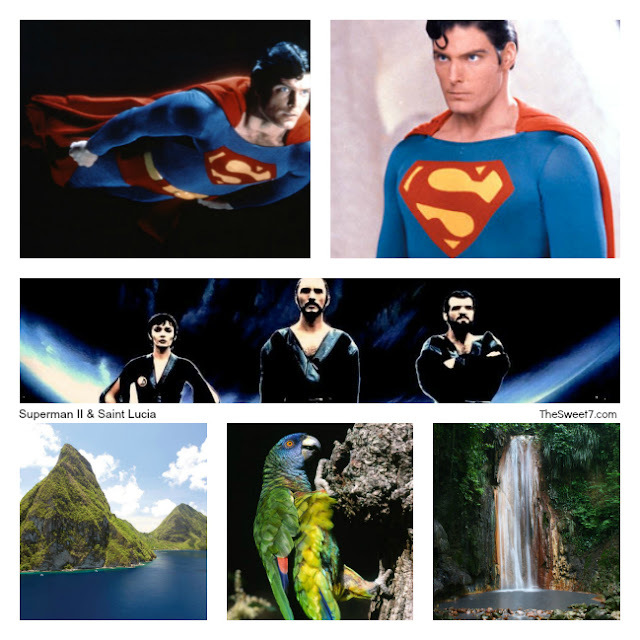 So imagine my excitement over an hour into Superman II when I was reminded of the scene shot in my island, St.Lucia. I jumped about my house and decided to share ... Discover Soufriere, St.Lucia.